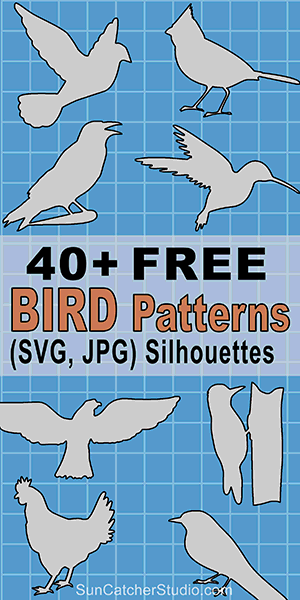 Print or download the following free bird silhouette patterns and templates for woodworking projects, scroll saw patterns, laser cutting, crafts, vinyl cutting, screen printing, silhouette, cricut machines, coloring pages, etc. 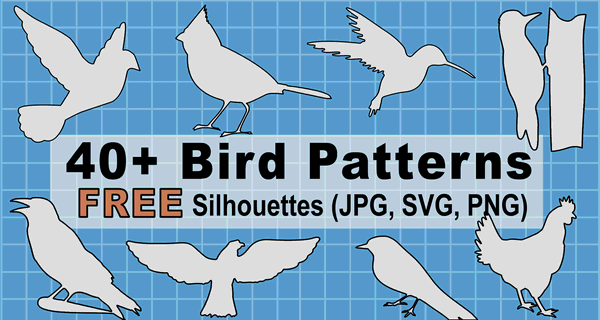 Patterns include Scalable Vector Graphic (SVG) templates and designs on cardinals, doves, eagles, finchs, robins, starlings, woodpeckers, etc. Find more Patterns and Stencils.